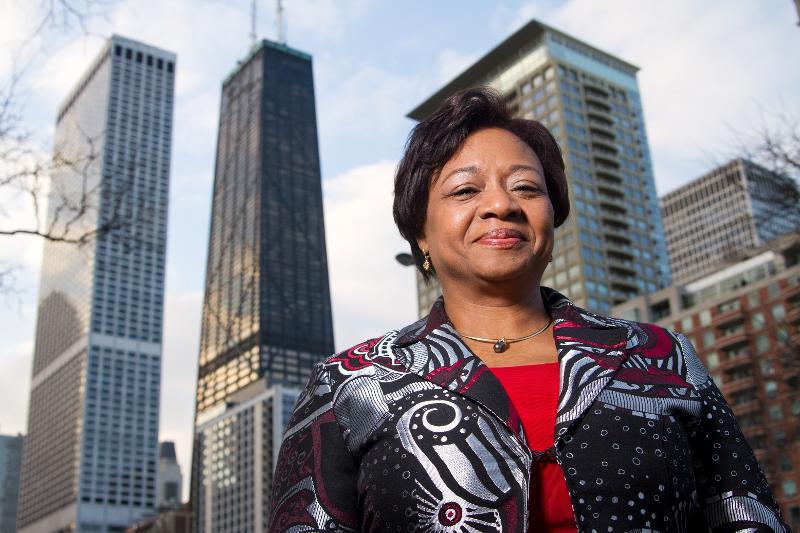 Before she became an Illinois State Senator with a promising and upward-bound political trajectory, she was simply known as our sister: a fellow community organizer, pastor and inspirational leader. Yet, she was always more than that and anyone who ever shared an organizing table with Patricia has experienced her tremendous visionary leadership style and presence. It was Patricia’s leadership that led to the formation of major criminal justice reform coalitions like the Developing Justice Coalition, through which IMAN leaders worked tirelessly to successfully pass important legislation confronting the reality of what several years later civil rights lawyer and scholar Michelle Alexander would call “The New Jim Crow.” Alexander acknowledges in her book that long before she coined the term to describe the phenomenon of mass-incarceration of non-violent and low-level felonies disproportionally affecting low-income black communities, organizers like Patricia had been making the case and fighting the fight for years. Yet, Patricia also realized early in the struggle that such fights could only be truly won when black, brown and other marginalized communities come together beyond one-time coalition, issue-based battles and begin focusing on a larger, shared vision for change. Towards that end, she and the pioneering organization she was leading at the time, Target Area Development Corporation, formed the United Congress of Community and Religious Organizations (UCCRO) and coined the slogan, “winning alone is only delayed failure.” I was fortunate enough to be invited by Patricia to participate in the early formation of UCCRO and we invested a tremendous amount of time with key IMAN leadership in building the foundation of an alliance that continues to provide a voice for communities of color on what we framed as a grassroots human rights agenda. We are greatly honored and excited to have State Senator Patricia Van Pelt opening up our Annual Dinner this year. Seats will be limited, but you can now purchase your tickets here. This entry was posted in Uncategorized by Rami Nashashibi. Bookmark the permalink.